Equitable access to education and training lays the foundation for social and economic inclusion. It is fundamental to overcoming vulnerability and to building nations and communities that are resilient. 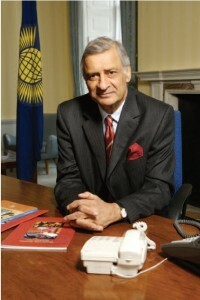 In the communiqué issued at the conclusion of their Colombo meeting in 2013, Commonwealth Heads of Government referred to education as the catalyst for human development that also creates the conditions for progress in health and gender equity, and for tackling other pressing global challenges. They called for all Commonwealth member states to ensure that each child is able to complete a full cycle of good quality education, including technical and vocational education. Academic co-operation and educational interaction are intrinsic to building bridges between the people and communities of the Commonwealth, helping to cultivate appreciation and understanding of the rich diversity of our individual and collective identities. As our 2014 theme ‘Team Commonwealth’ reminds us, by working together we can provide mutual support and encouragement towards our shared goals of truly participative and democratic societies with opportunities for all. Contributors to Commonwealth Education Partnerships 2014 draw on a wide range of expertise and experience to provide valuable guidance on the advancement of education and enrichment of opportunity. They offer valuable practical examples of how innovative teaching methods, and advances in learning technology and knowledge sharing can open up broader educational opportunities for citizens in our member states, particularly for children and young people. Making such professional analyses and insights more widely available, within and beyond our membership, is part of the global wisdom function of the Commonwealth.